A unique wall lamp.- in red, muted yellow ocher and brass. The top image, hand painted in gouache, is based on a 19th century Persian painting in the Met. 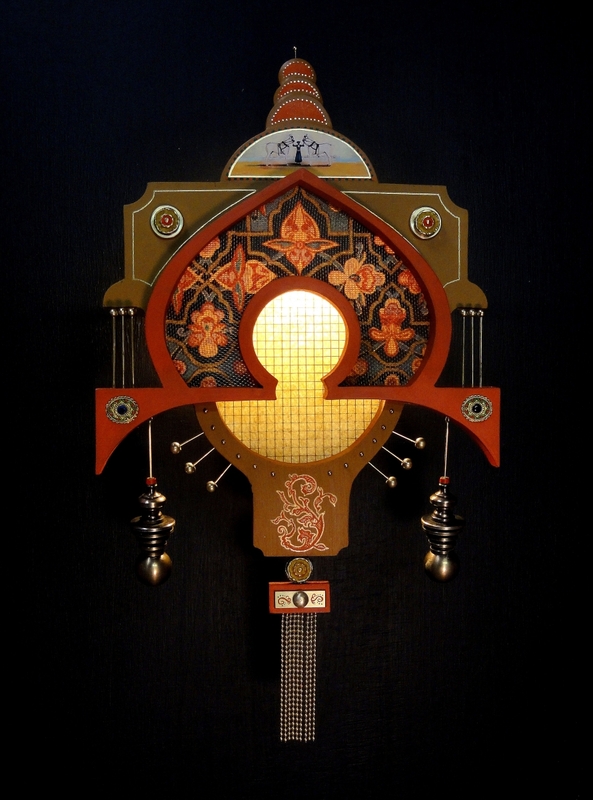 A combination of ornate Persian design infused with a Steampunk aesthetic.